Some residents in southeastern New Mexico are concerned that things could be changing for their otherwise quiet neighborhoods as the latest encampment designed to house transient workers from the oil and gas boom nears development. 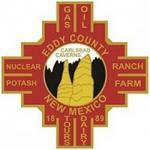 Eddy County officials agreed to a three-month hold on the so-called man camp Tuesday. The move was influenced by hundreds of La Huerta residents who voiced their opposition to the camps at the meeting and presented two petitions. Opponents of the plan gained momentum after rumors of the land owner backing out of the project began circulating, according to the report. “I think we’re just trying to preserve our neighborhood,” said resident Paige Evans at the rally. “Just our way of life. Residents fear that 200 workers coming into an already densely populated area of La Huerta would cause power outages and water shortages. Some also had safety concerns. One of the petitions asked the county to look at zoning regulations in the area. The other asks that a moratorium be imposed on any new camps coming into the county. Chair Stella Davis cited man camp complaints from the south side of Carlsbad at the meeting. It could become into a county-wide issue that should be addressed as oil and gas employment is expected to increase, she said. “It’s coming, and I think we need to put a stop to it,” she said. “We need breathing room. We need to look at the whole county.